KlausTech technology translates directly onto any mobile platform. Mobile advertising is growing fast but it is still a new industry and the current advertising solutions, definitely effective when interacting with mobility and location concepts are still lacking from the ad exposure point of view. Size does matter in the advertising world and when on mobile phone or smart phones a time ads that is always visible and does not interfere with the content/application when browsing is a paramount importance. 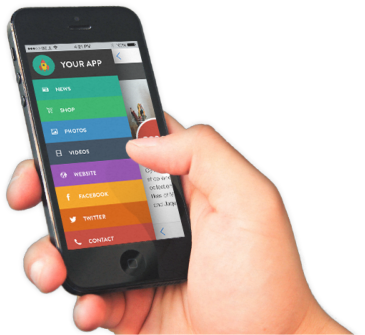 The mobile ACP solution allows developers of mobile applications to monetize their intellectual property in a way that has not been possible until now. Users are spending up to 30 minutes per day on their applications and a non scrollable play list of timed ads showing while users are browsing the application represent a unique monetization proposition. comScore and TKG estimate there were 37.9 million mobile internet users in 2007, a total rising to 91.7 million in 2012. Some 13% of US users access news and information via their mobile -with current affairs and entertainment the most popular categories - with a similar number also accessing emails. Usage figures are highest in the 20-29 year old age group (around 40%), though WAN warns that the vast majority of people with mobile internet access do not utilize the service, a trend that becomes more pronounced with age. Mobile ad spend is predicted to reach a value of $13.9 billion in 2011, compared with $1.5 billion in 2006. Within this, expenditure on multimedia content, such as placing ads around mobile video, TV and music, is forecast to rise to $2.1 billion (compared with the 2006 total of just $109 million). Internet TV ad revenue as a whole is expected to reach $5 billion in 2011, mostly coming from Western Europe and North America. According to Multimedia Intelligence, global mobile video fetched less than $200 million in 2007; by 2011, revenues are expected to total $2 billion. Mobile TV will also be worth $3.9 billion by that date, with two-thirds of this figure raised in Europe and Asia, and the rest in the US. The Italian mobile and video market could be worth as much as $1.8 billion in 2011, followed by the UK ($1.5 billion) and France ($1.3 billion). In the US, overall mobile ad spend is expected to be $194 million in 2008 according to MAGNA Global, an annual growth rate of over 80% a year from 2006. Revenues from mobile search totaled $33.2 million in 2007, and will rise to around $1.4 billion by 2012; mobile video, by contrast, will raise over $2 billion by 2011, from a $200 million base in 2007. Mobile messaging revenues are also expected to top $100 billion by 2010. In Western Europe, total mobile revenues will grow from $454 million in 2006 to $3.46 billion in 2011, with general spending - such as text message promotions and ad-supported voice minutes - responsible for the vast majority of the total. The Japanese mobile market worth $269 million in 2005, and Dentsu forecasts that it will quadruple in value by 2011.